Imagine yourself armed with the toothbrush in an attempt to clean the limescale in the bathroom or the kitchen… only the thought for this is awful. But this is not the end of the story, you need to give the ex-rental place a thorough, wall to wall sanitation of every cranny, so that you can move out smooth and get back your deposit. Before you moved in, you gave away a bag of money to pay for the deposit and now it is fair to have it back. For that purpose, it is essential to leave the rental property in immaculate condition and that’s our expertise. We are the masters in the end of tenancy cleaning services in all North West London and this fact is approved by all the letting agents. We have our hands in the trade long enough to know no secret in the cleaning. We respect the traditional old methods, but we also keep track of the latest innovations. This combination inevitably leads to perfect results, which can please even the most exacting landlord. We understand very well how hard and stressful a moving out can be and that’s why we place great importance in our job. For us, it is not just a business, but a perspective to help people. We understand that the results are of major importance and for the great performance, we count on our fantastic cleaning team. We are very selective when hiring new people, since they represent the direct link with our revered customers. All of our cleaning experts are trained in the most sophisticated cleaning practices, but they are also individuals with great interpersonal qualities. That’s why our end of tenancy cleaning services are the most preferred in North West London and our constantly increasing customer database is the proof of this. 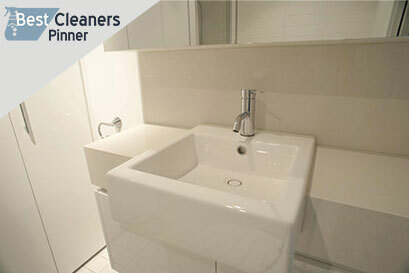 The appropriate and qualitative cleaning materials are as essential as the performance itself. That’s why we have invested heavily to supply all of our cleaners with the needed equipment, which will break through every dirt and stain. In that way, we improve the results even more and where our competitors don’t have even a clue how to cope with the problem, we have the knowledge and tools. © 2019 Best Cleaners Pinner. All Rights Reserved.